You all know that I do my best to shop every 2 weeks AND that we eat a produce-rich diet. You are probably wondering how we pull that off. How is it possible to consume a produce-rich diet when I only buy produce every 2 weeks? Before I tell you HOW I make my produce last 2 weeks, I need to tell you WHY I even bother with a 2-week meal plan. It seems like a gigantic undertaking. Why do I aim to shop every 2 weeks? Here at Dinner for a Dollar, our mission is to help you save time, money, and energy on your whole food diet. Going to the store less is one way you can do that. Now that you know why I aim to shop every 2 weeks, I am going to share with you how I make that happen. 1. We strategically plan our meals. 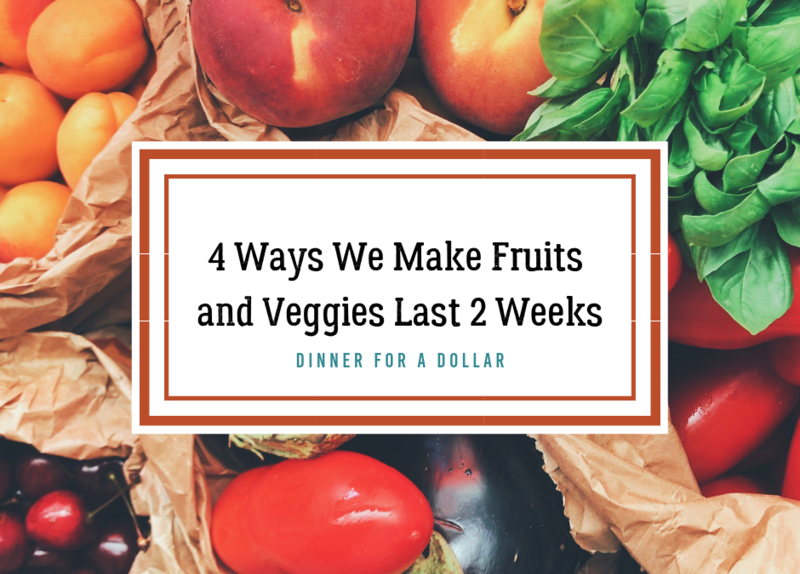 In our 2-week meal plan, I plan for meals that utilize quick-to-spoil produce for the first week and meals with longer lasting produce for the 2nd week. Here are some of the produce that easily lasts 2 weeks in our home: beets, cauliflower, butternut squash, sweet potatoes, potatoes, spaghetti squash, cabbage, onions, carrots, apples, oranges, and pears. In addition to consuming these fresh items in the 2nd week, we also incorporate frozen fruit into smoothies or frozen veggies into soups or stir-fries. We use these items to create the meals that we eat in the 2nd week. Take a moment right now and think about the produce your family enjoys. Think about if any of these items last up to 2 weeks and then think about some meals you can build around these items. 2. We have a 2nd fridge. 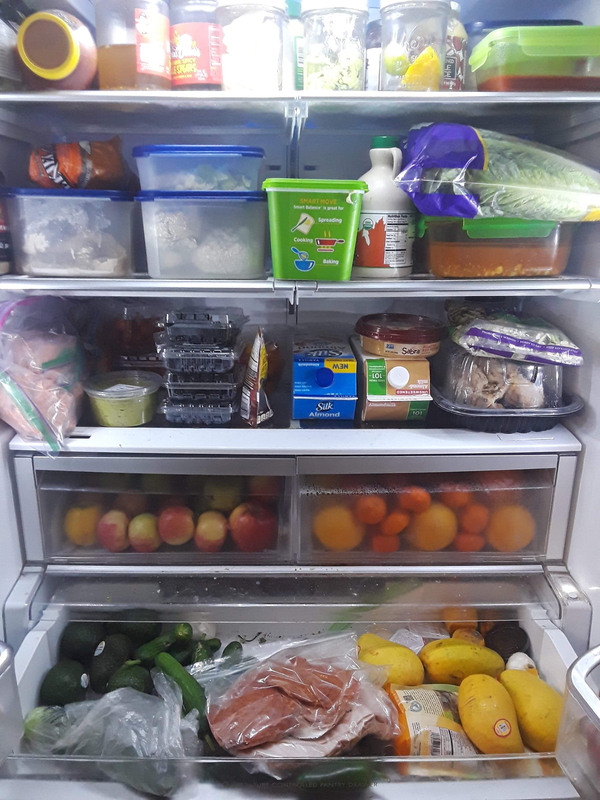 In order to shop every 2 weeks, we have a 2nd refrigerator. For a family of our size, a single fridge cannot hold the amount of produce we consume in a 2-week time period. We were able to source an excellent functioning, but very ugly refrigerator inexpensively on the used market. If you’re considering a 2nd fridge, I highly recommend checking out the used market or the scratch and dent section of your local appliance stores. 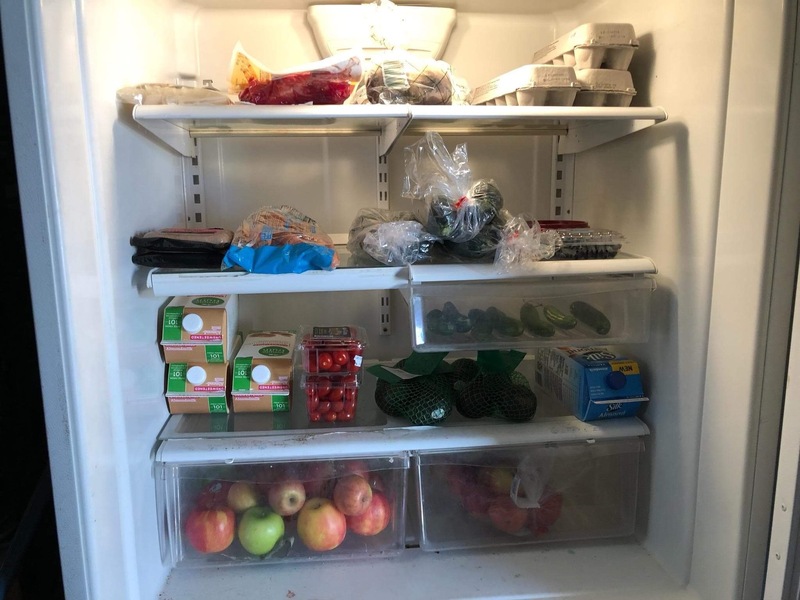 Here’s what our two fridges look like at Dinner for a Dollar HQ!! 3. 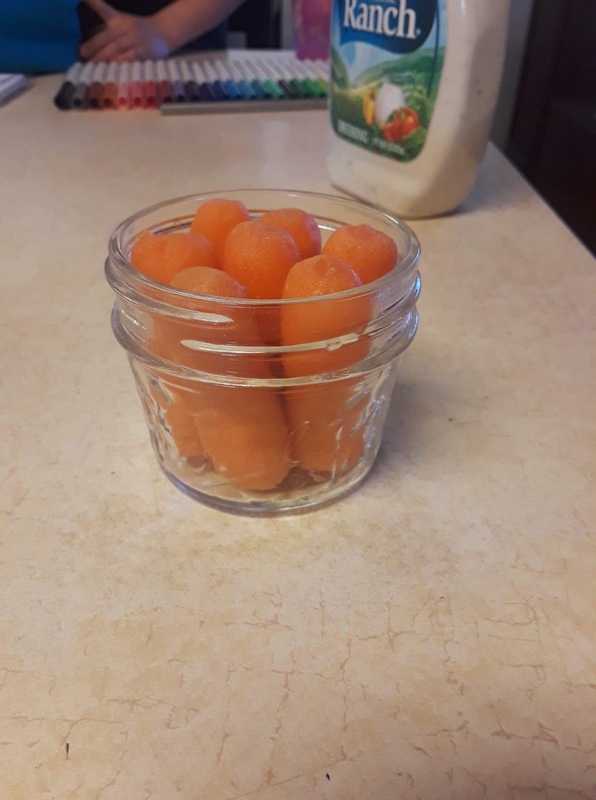 Use mason jars to store our produce. 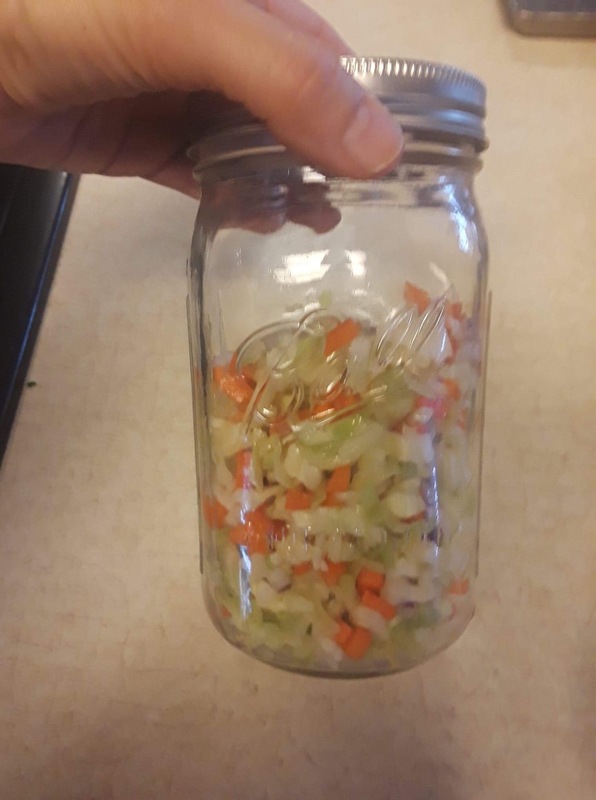 If you haven’t ever used mason jars to store your produce, I highly recommend you give it a try. mason jar food storage is a huge part of our kitchen. We use them to store food in the fridge, freezer, and pantry. On the weekends, we like to prep our veggies for the week to come. We wash and pre-chop as many veggies as we can so that, when the mid-week rush hits us, we can get meals on the table quickly. 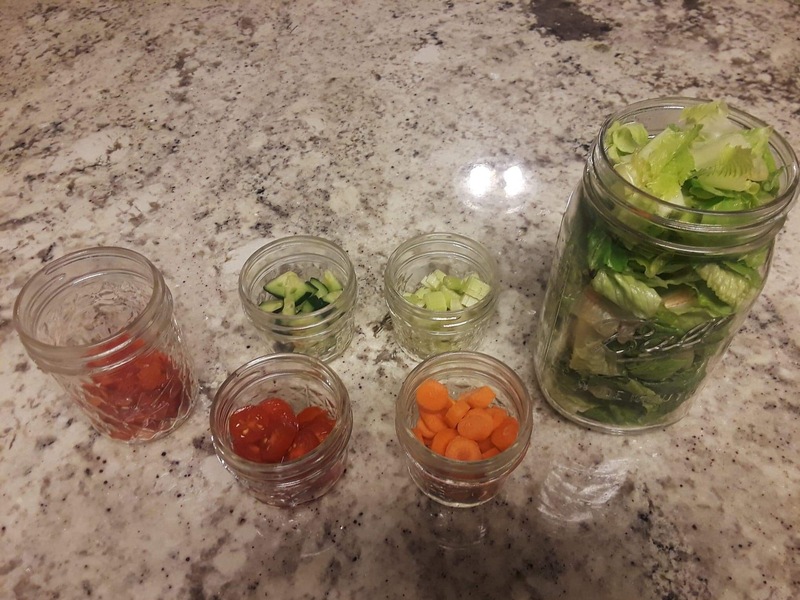 Pre-washed and chopped produce lasts about 5 days in our home – when stored in mason jars. 4. Remain flexible in your meal prep to reduce waste. Every few days, do a fridge check. Perform a quick scan to see if any items are looking like they need to be used up. If they do, get creative and find a way to add them into your meals over the next day or two. It seems obvious, but one way to make your food last longer is to make sure you are using all of it – rather than throwing it in the trash. If you don’t know how to be creative and adapt your recipes, check out my free chapter on How to Cook without Recipes. I teach you all about how to get creative and use up what’s in your fridge. If you want to learn more about reducing your food waste, stay tuned later this month. In honor of Earth Day, we will take 2 weeks to discuss how to reduce the amount of food you’re throwing in the trash. You may not be ready to shift your grocery shopping to every 2 weeks. Most people aren’t. You can still use these strategies to help you navigate your weekly meal plan. If you ever decide to give 2-week shopping a try, you now have a strategy for how to make that work.